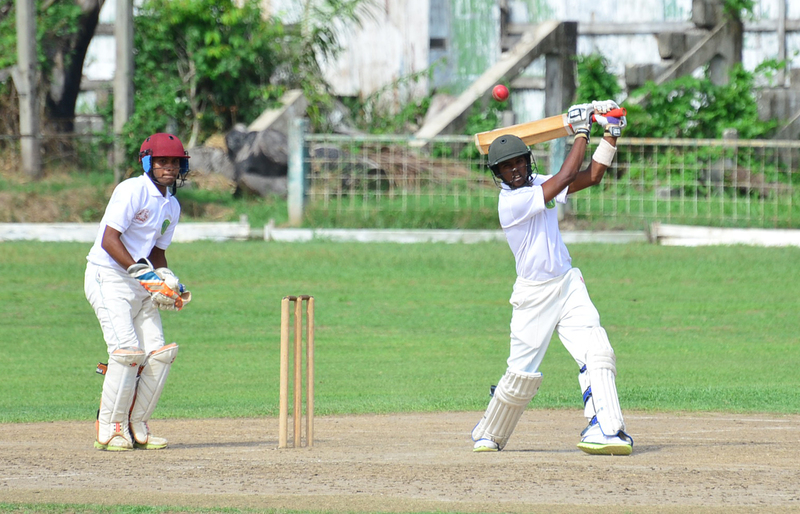 A gutsy fifty from Looknauth Chinkoo helped Essequibo to a decent first innings score of 197 after the Demerara bowlers did some damage on day two of the Guyana Cricket Board (GCB)/Hand-In-Hand Under-19 Inter-County three-day Competition played yesterday at Bourda. Chinkoo revived his team’s innings with a composed 52 after they were hurt by early strikes from Sherfane Rutherford who captured 4-27 and left-arm Keshram Shabodan who grabbed 3-37. 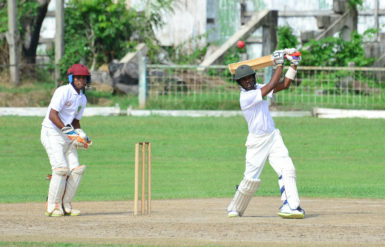 Demerara were 16 without loss at stumps with their form openers Ronaldo Renee and Raymond Perez on seven respectively. They trail by 182 runs heading into today’s final day. 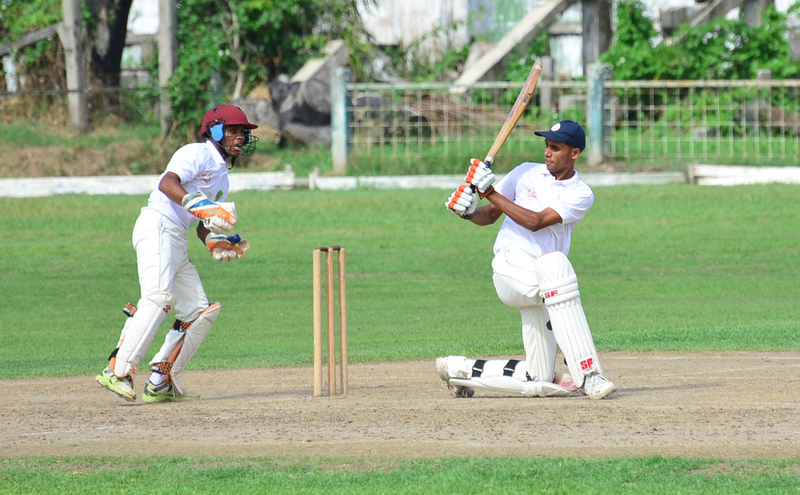 After rain washed out play on the entire first day, Essequibo took to the crease at minutes before the lunch interval but lost Nathan Persaud (04) to Rutherford. They slid to 35 to 2 after Shabodan got into the act and removed Siddiq Mohammed for 11. Skipper Keemo Paul struck Shabodan for six to get off the mark before falling victim to leg-spinner Darshan Persaud who knocked him over. At the other end open Mark Williams played well for his 46 despite being dropped twice off Shabodan’s bowling, before he was removed by Rutherford. 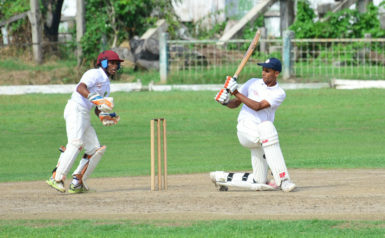 However, Johnathan Fernandes (32) and Chinkoo tore into the attack as they dug in to add 80 for the sixth wicket. Fernandes played well. He got an extra life after Renee missed a stumping off Malcom Hubbard and afterwards struck the same bowler for two sixes and a four. He was then bowled by Shabodan while Chinkoo fell via the same method to the seamer Rutherford shortly after reaching his 50 which included nine fours. At Wales, Berbice were dismissed for 73 by the Under-17 Select XI who were 21 without loss at stumps. Both matches continue today at 09:300 hrs.